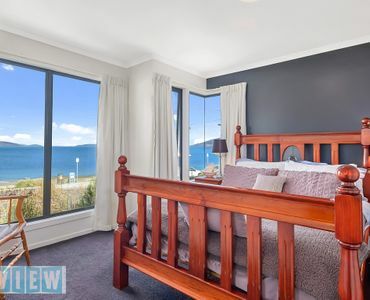 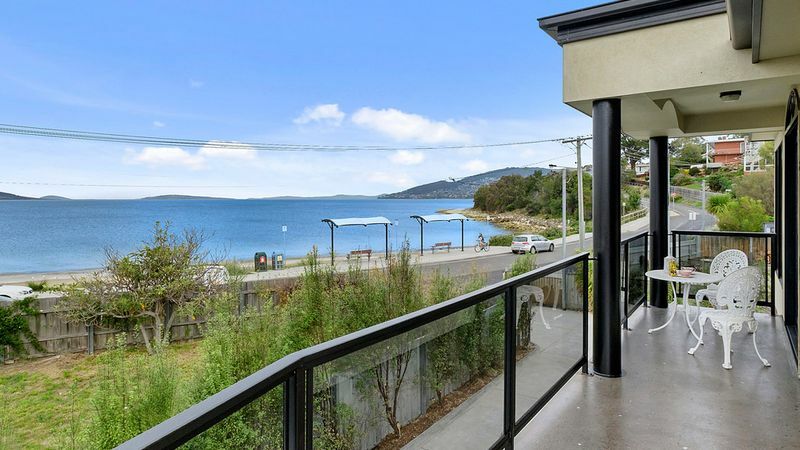 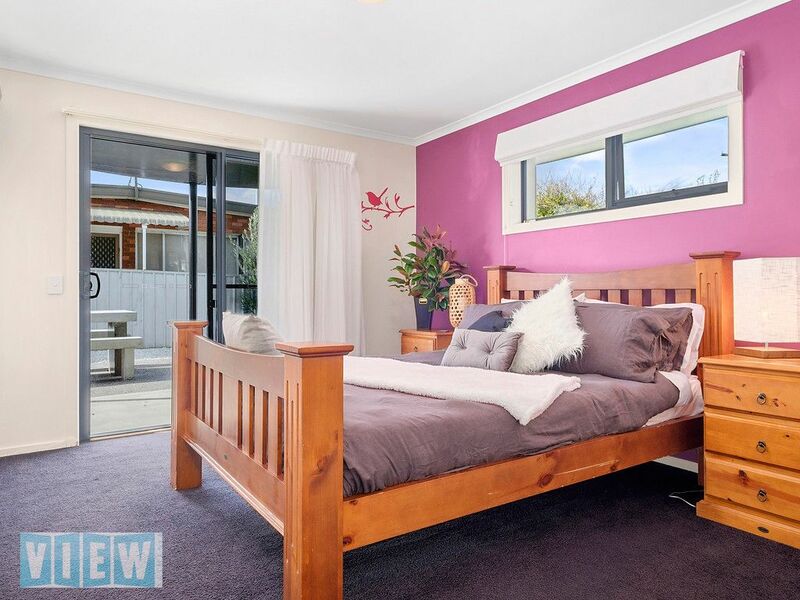 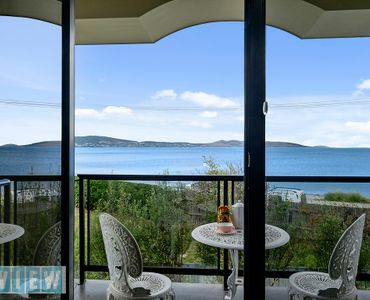 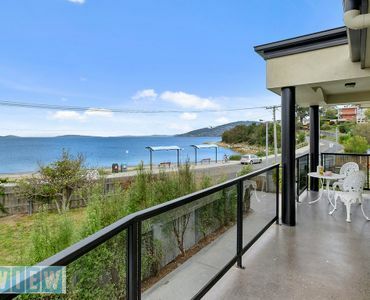 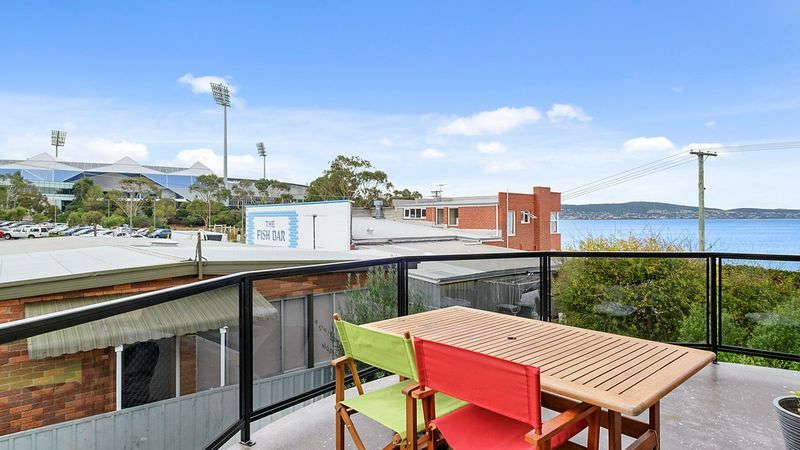 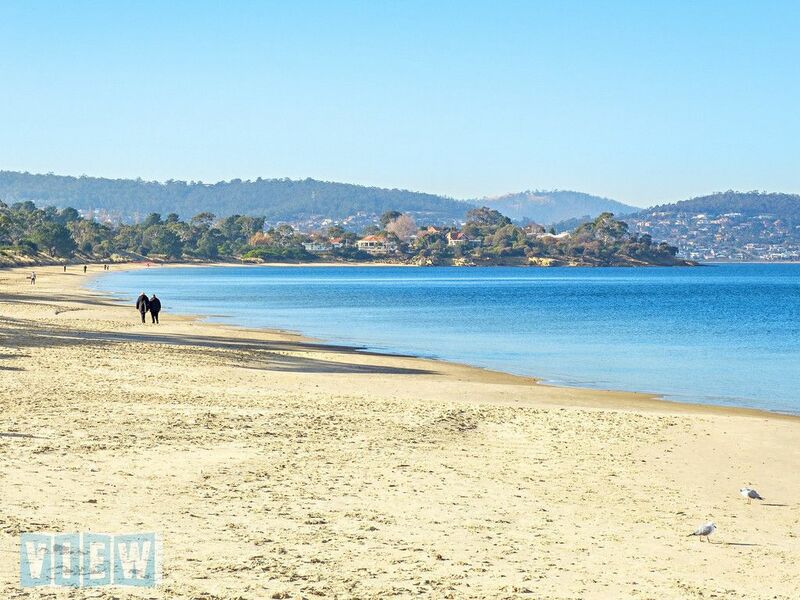 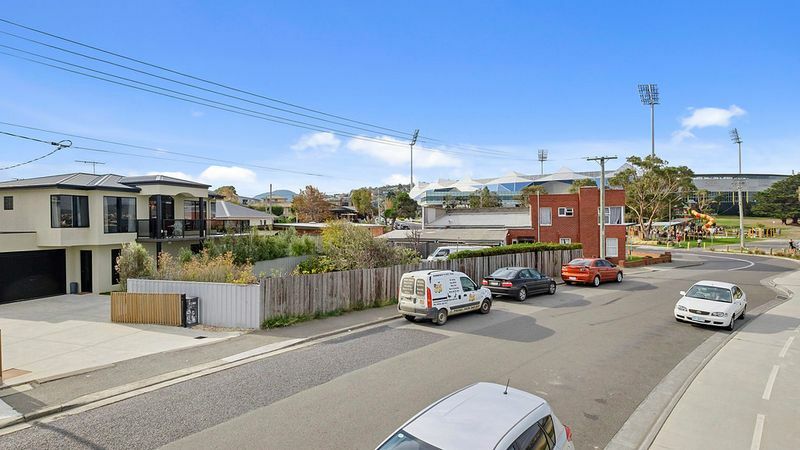 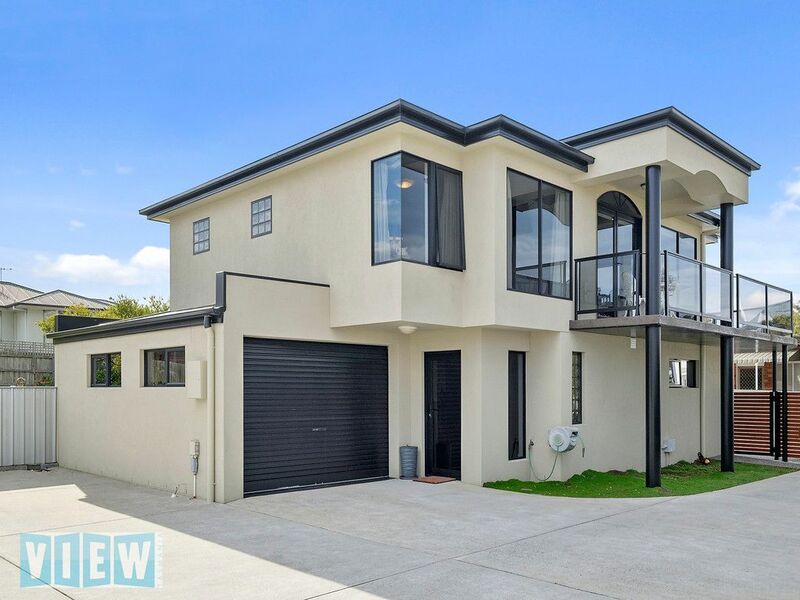 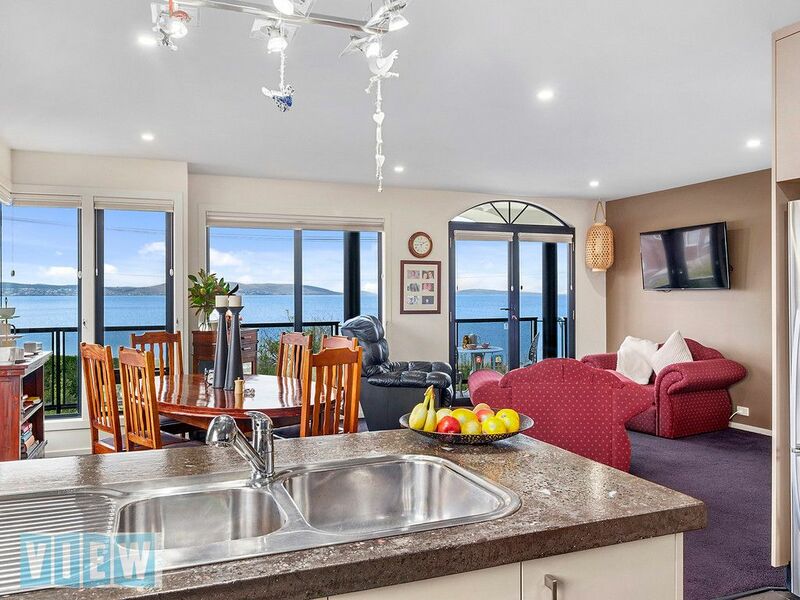 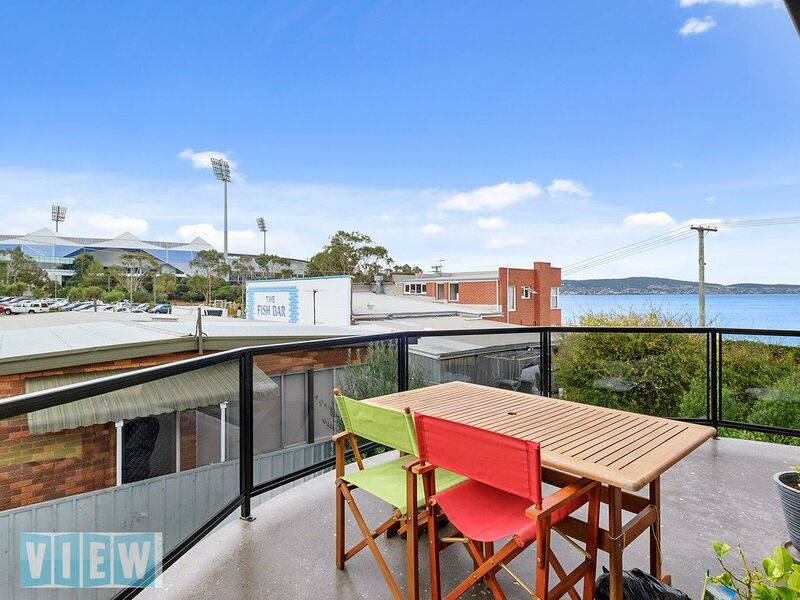 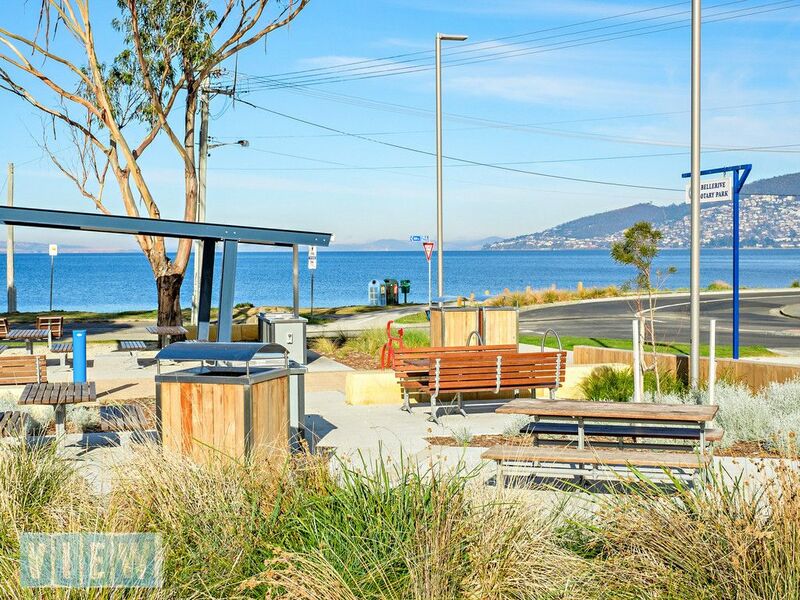 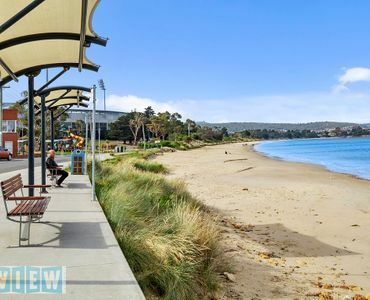 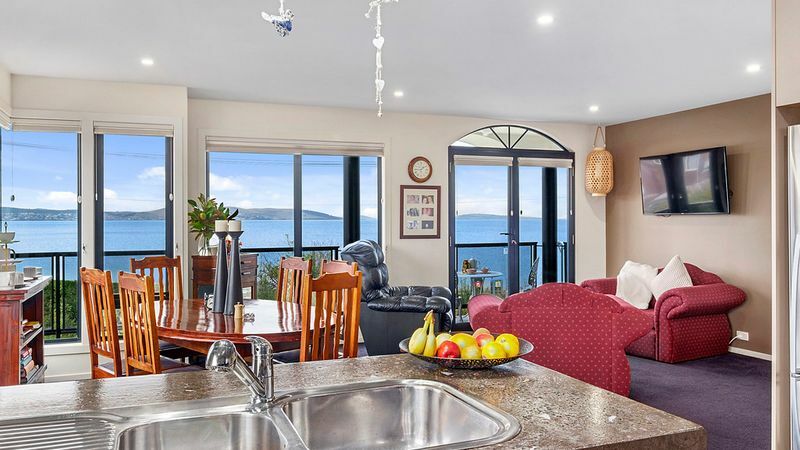 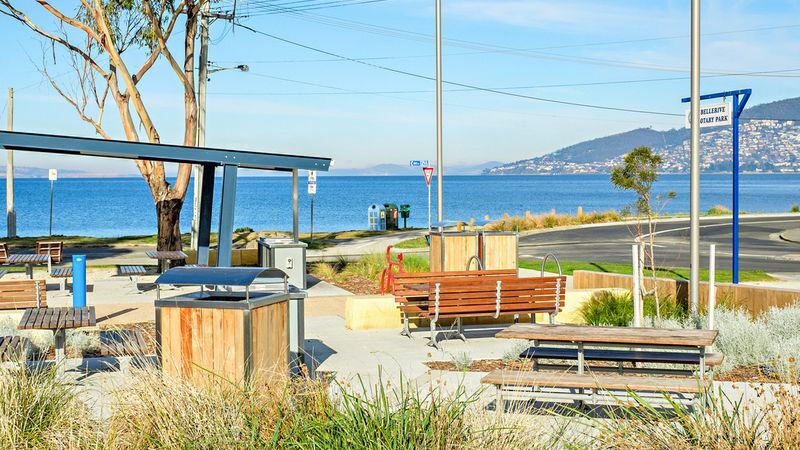 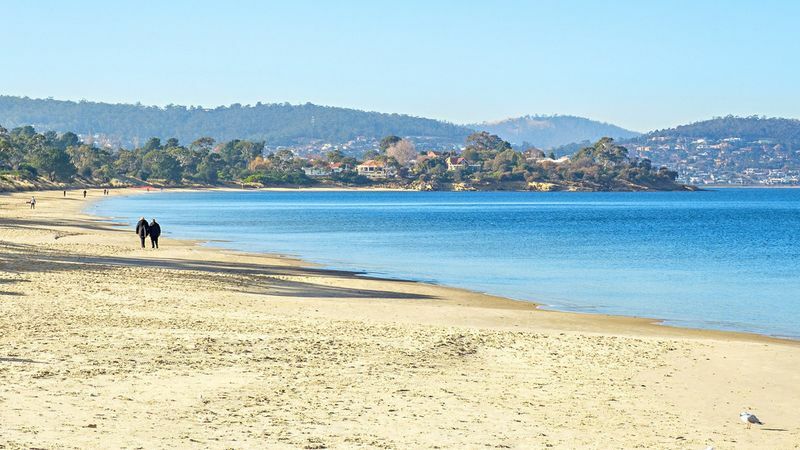 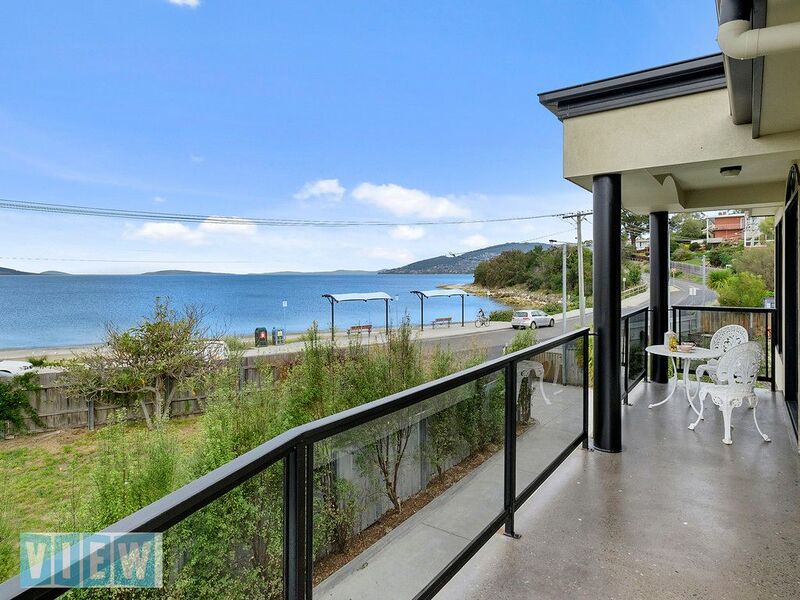 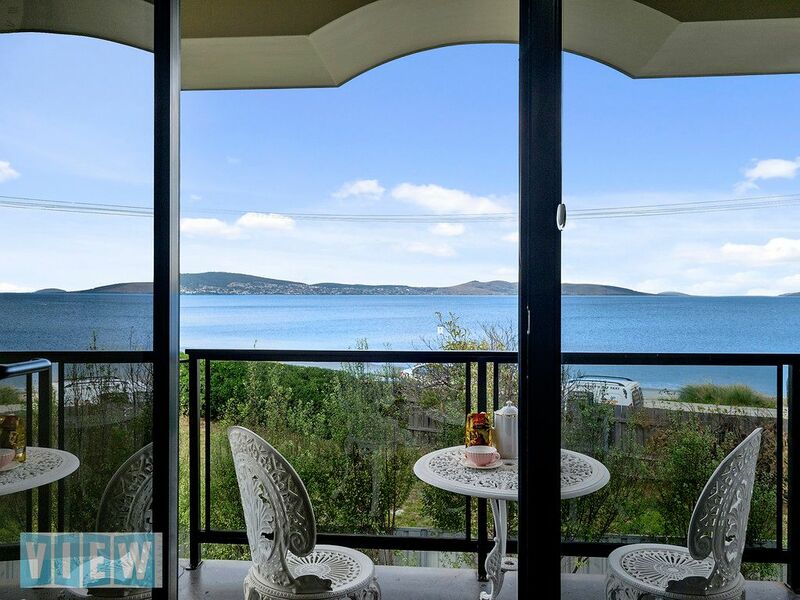 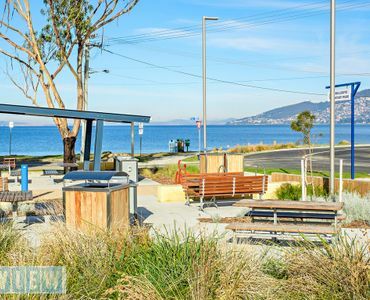 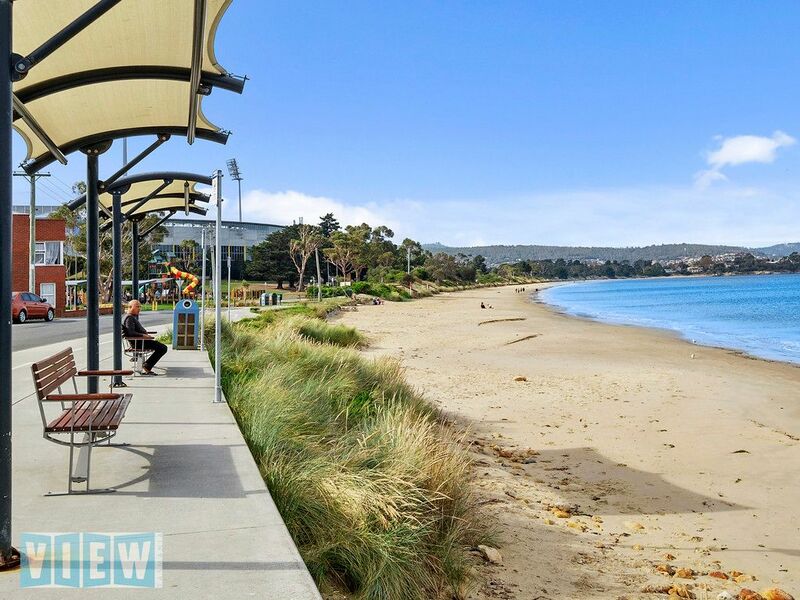 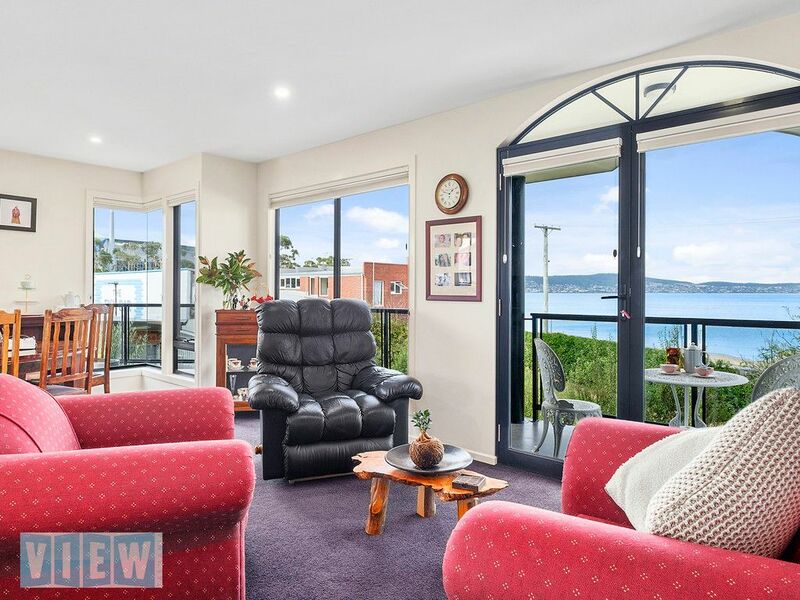 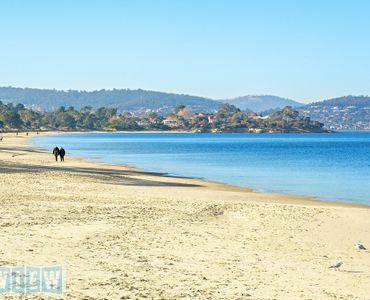 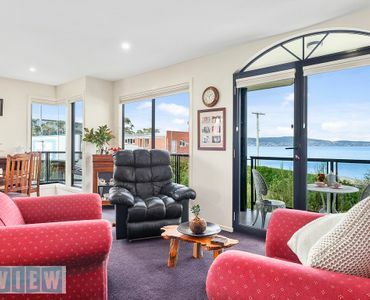 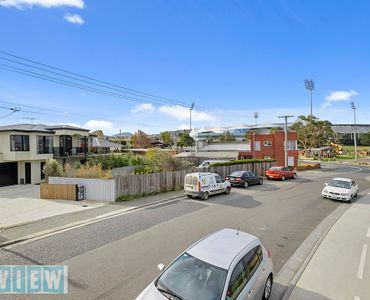 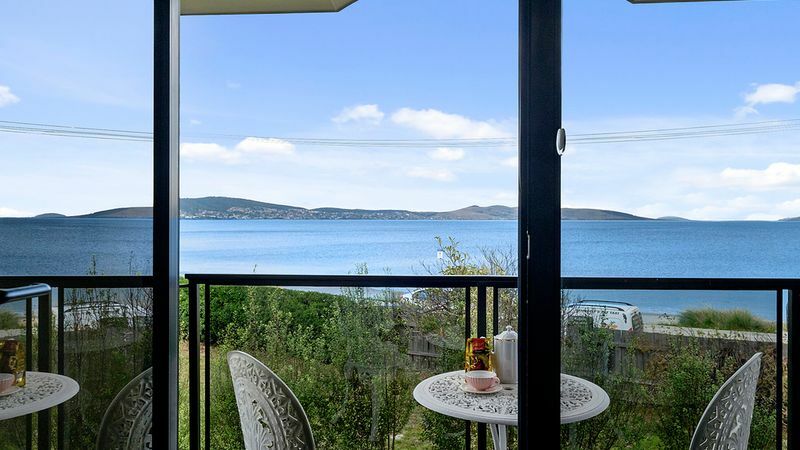 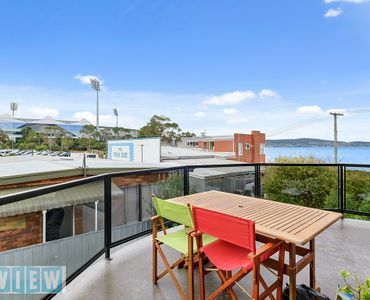 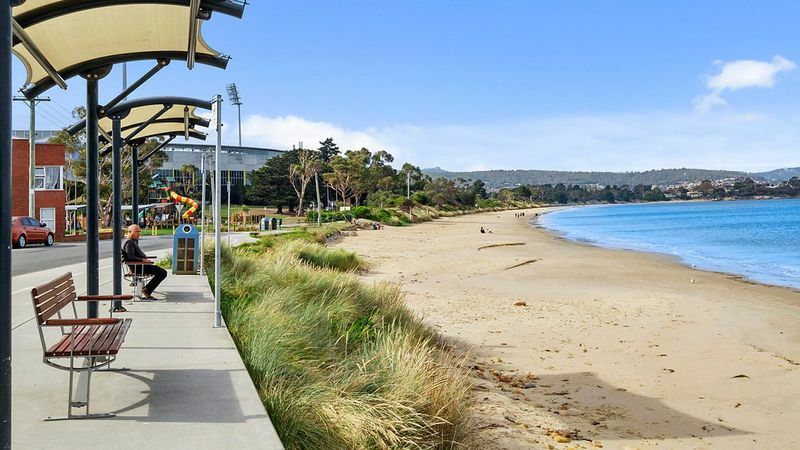 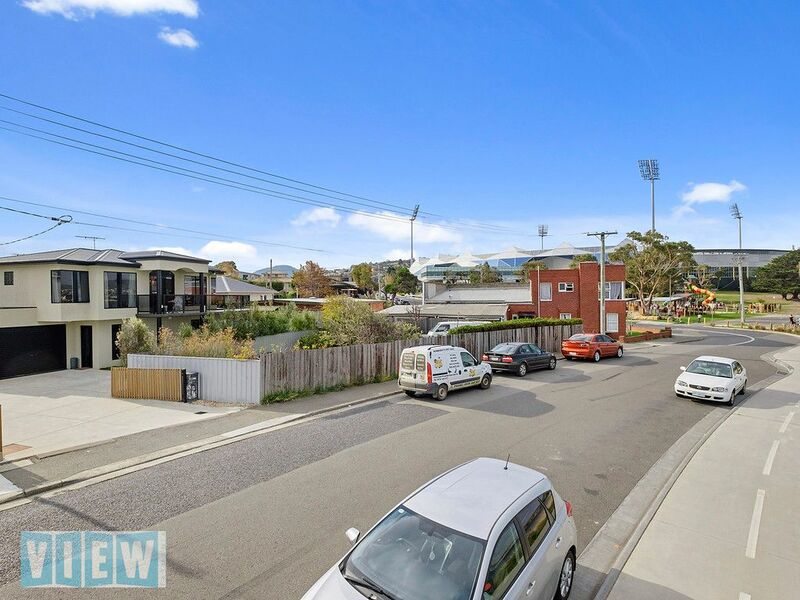 View Australia – Impressive townhouse directly opposite Bellerive beach. 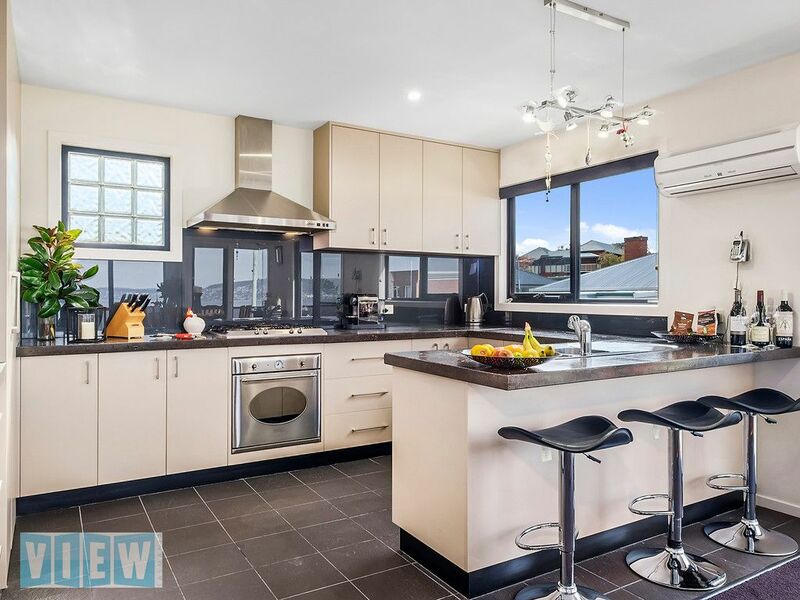 This immaculately presented townhouse is in a location that many aspire to but few get the opportunity to own. 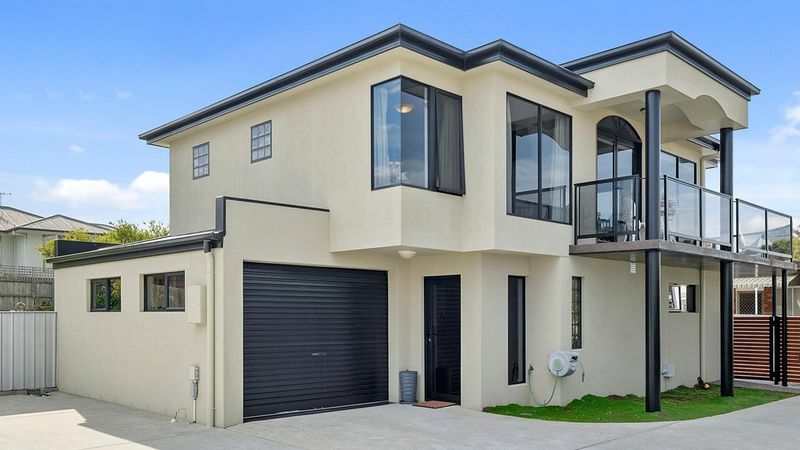 Set over two levels and sure to appeal to the discerning buyer, you enter the lower level through the spacious foyer where evidence of quality abounds. This level could offer privacy for in-law accommodation or gives children their own space. 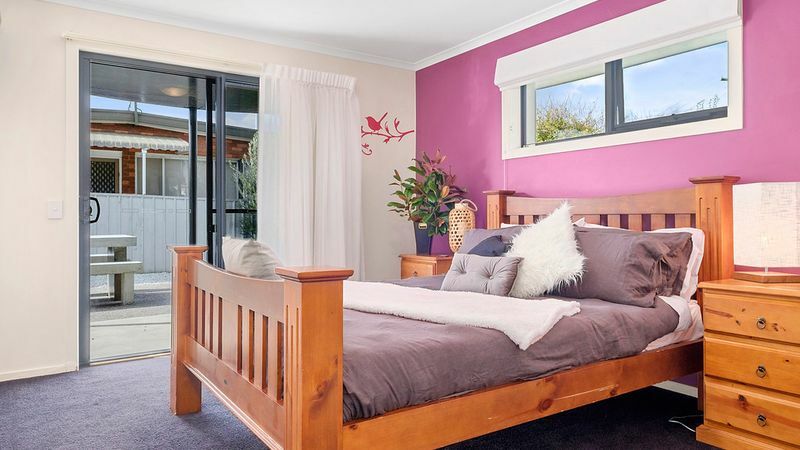 It comprises two queen bedrooms both with built-in robes and with both opening onto the rear courtyard. 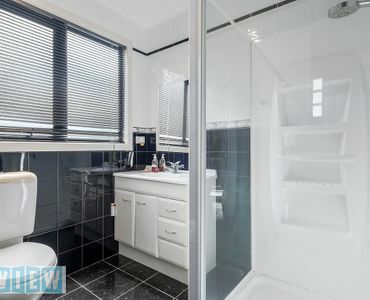 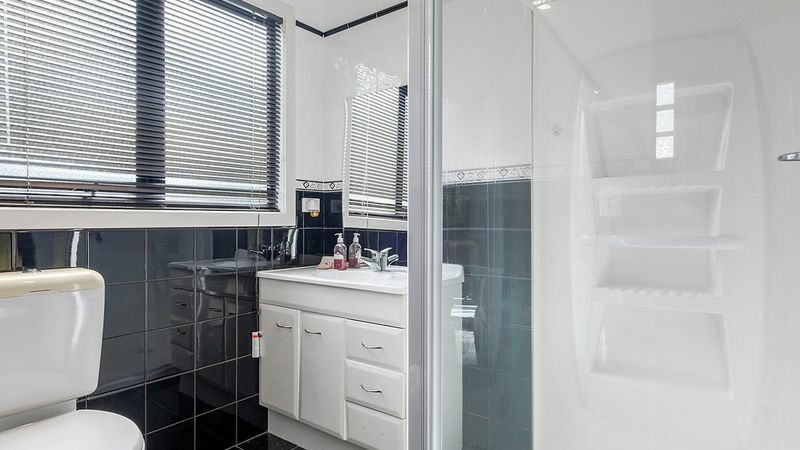 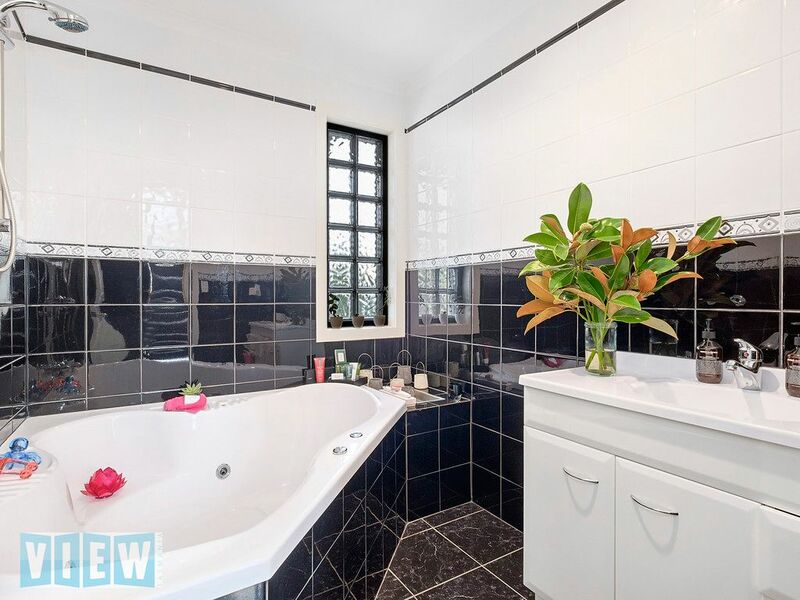 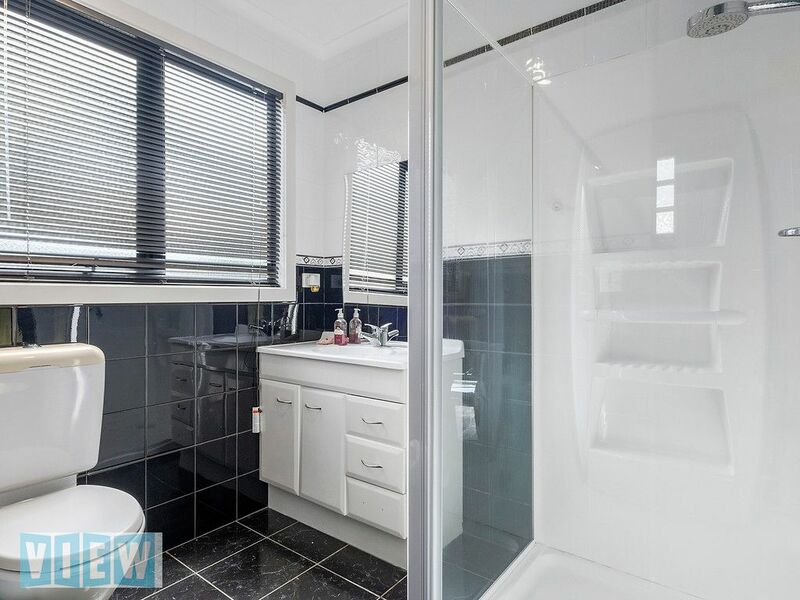 Pristine family bathroom with highly polished tiles and corner spa, powder room and laundry. 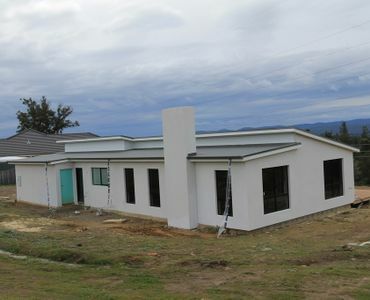 The single remote controlled garage is fully lined and has hot and cold running water and could easily convert to extra accommodation or games room and kitchenette (STCA). 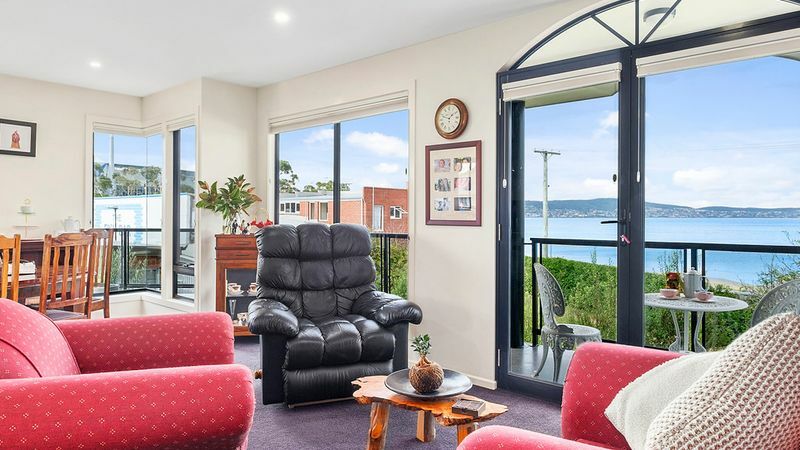 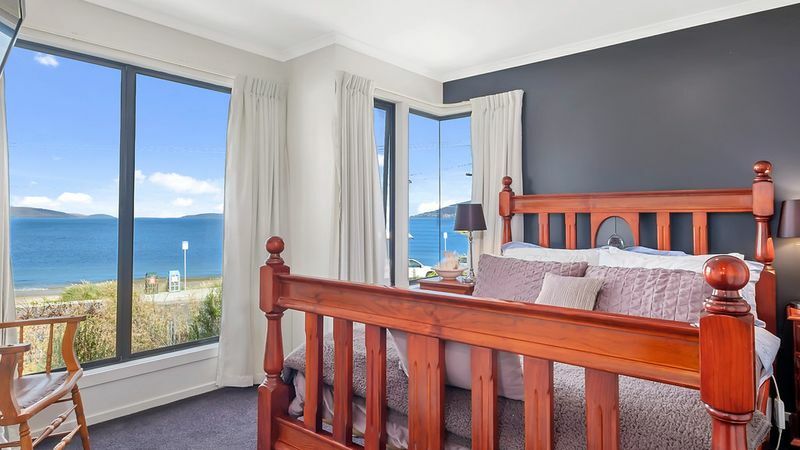 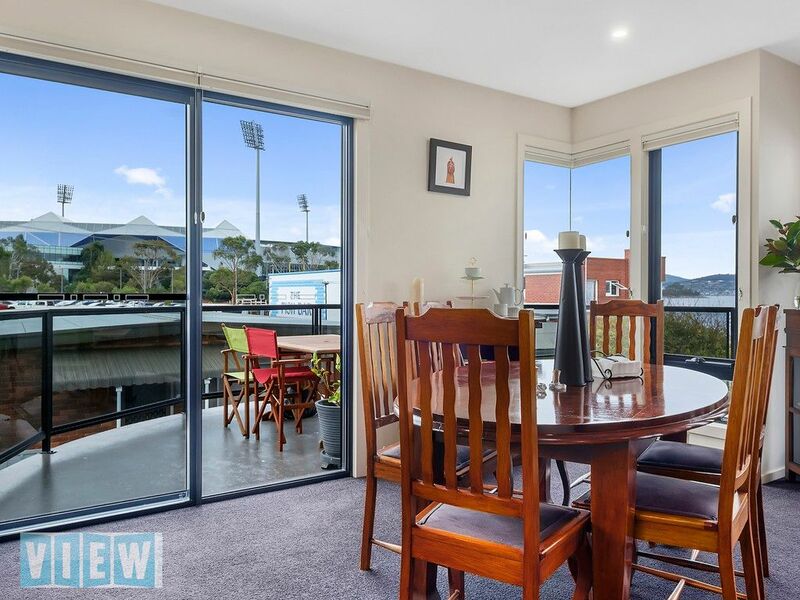 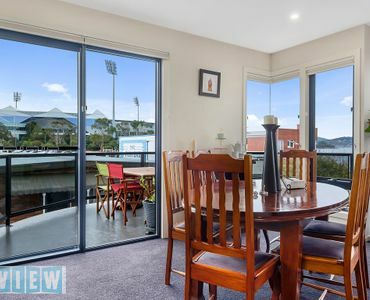 Natural sunlight fills the upper level where you are greeted with uninterrupted views over Bellerive Beach, the Derwent river and beyond. 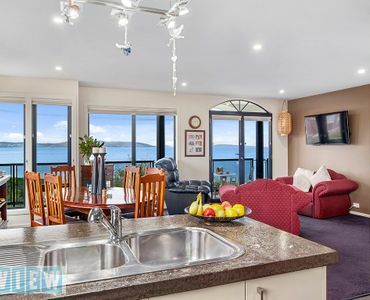 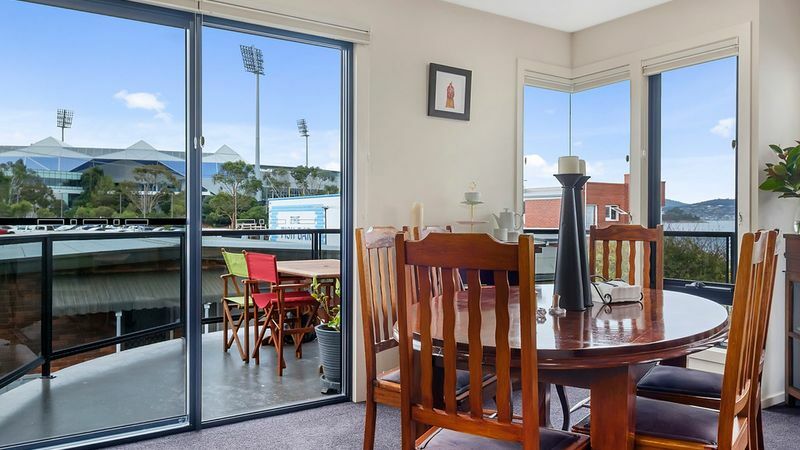 The generous open plan living/kitchen is warm and inviting and opens onto front balcony and deck, ideal for entertaining, alfresco dining and enjoying the views. 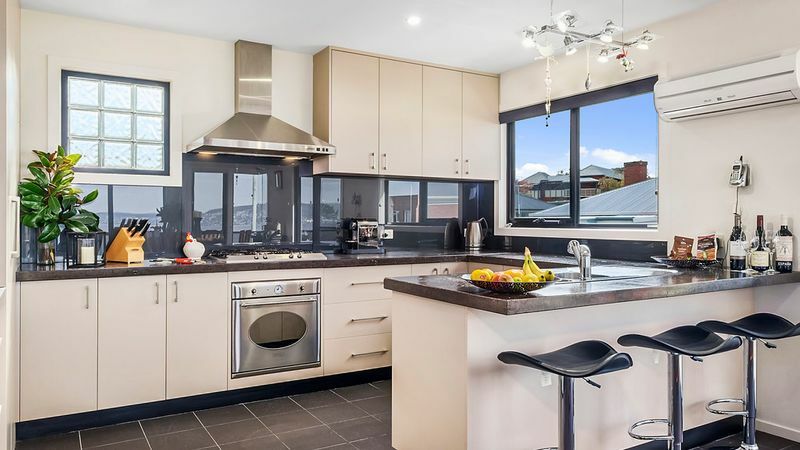 The kitchen is filled with quality SMEG stainless steel appliances, plenty of storage and features wonderful polished concrete bench tops. 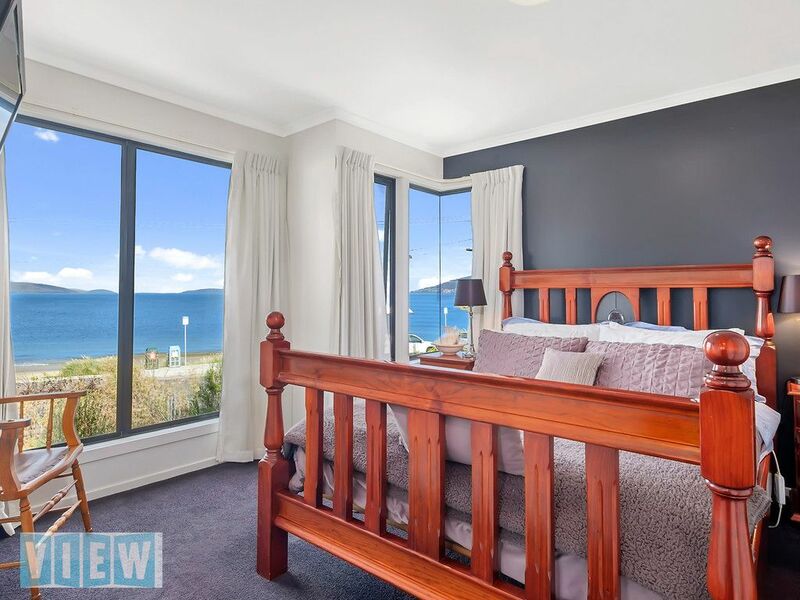 The master suit enjoys the same views and includes a large walk-in robe and ensuite. 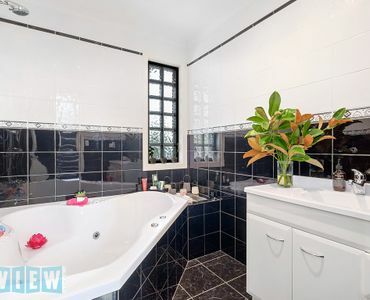 Completing this level is a guest powder room. 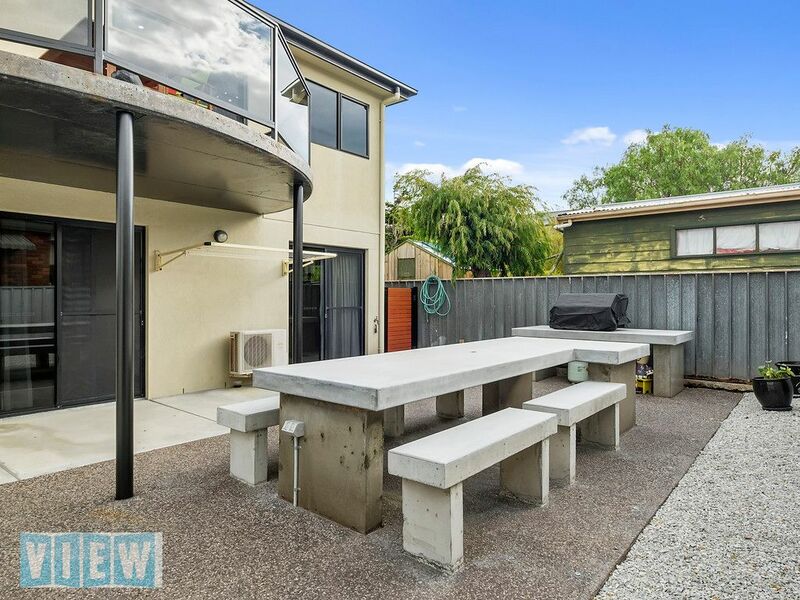 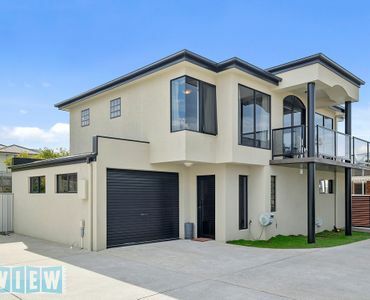 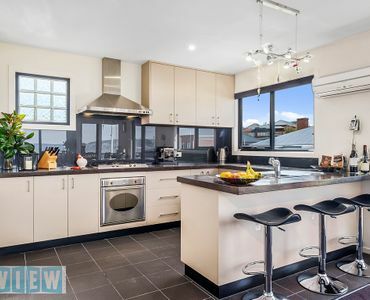 Single remote controlled garage with internal access plus three shared off street parking spaces via driveway shared with the adjoining property. 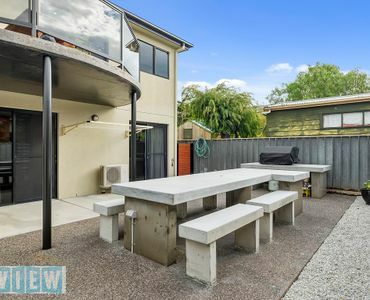 Low maintenance garden. 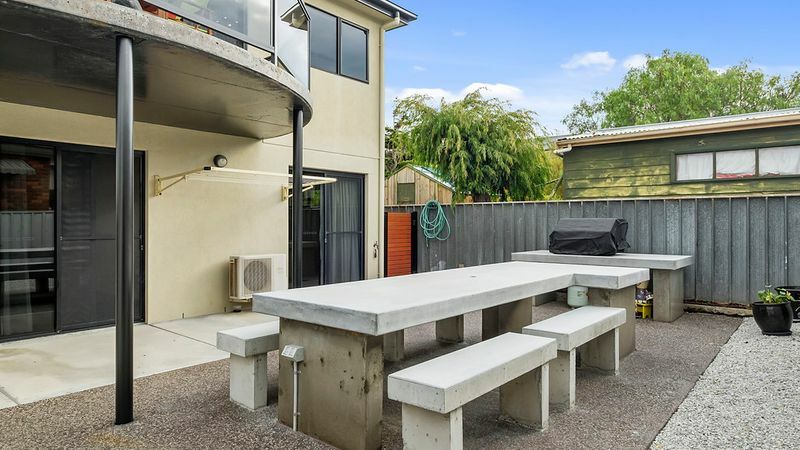 The rear courtyard has bespoke concrete garden furniture that adds a touch of decadence and style. 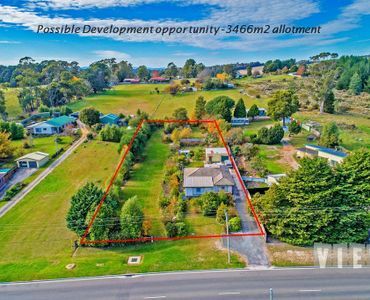 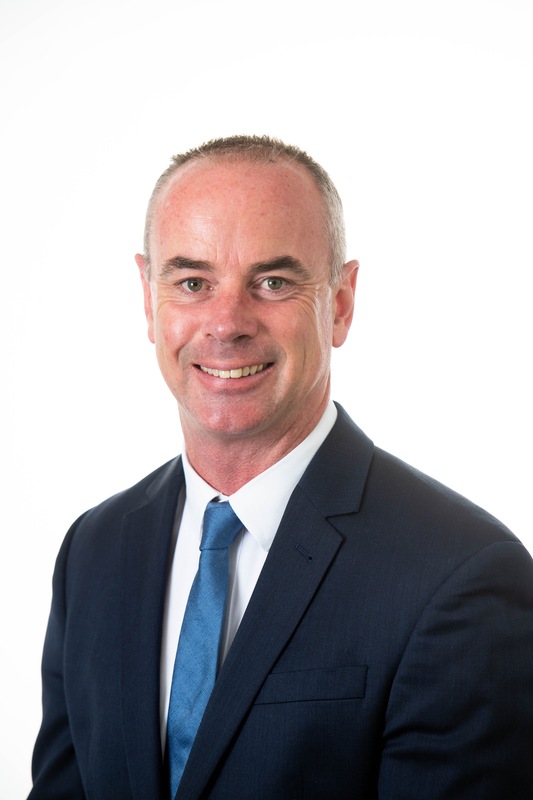 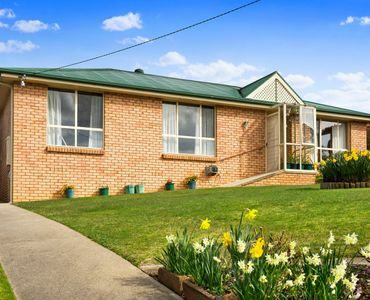 Top Investment in Popular Prospect Vale.